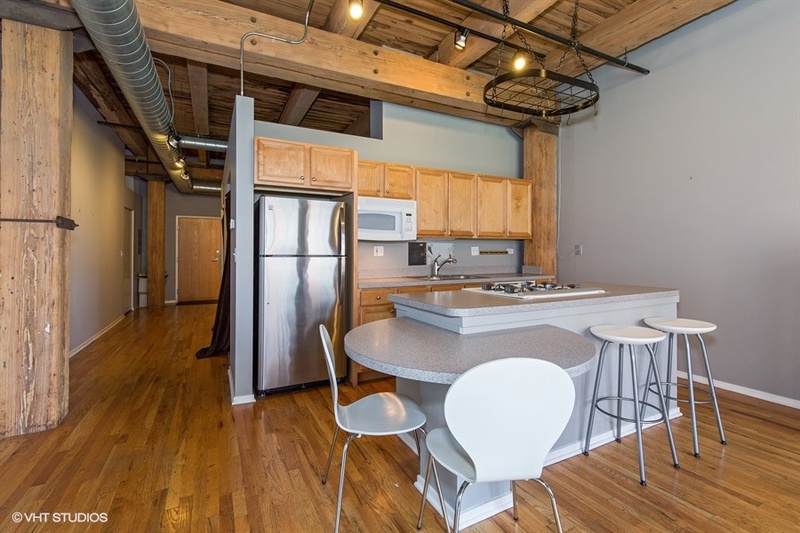 Welcome to Capital Hill Lofts! 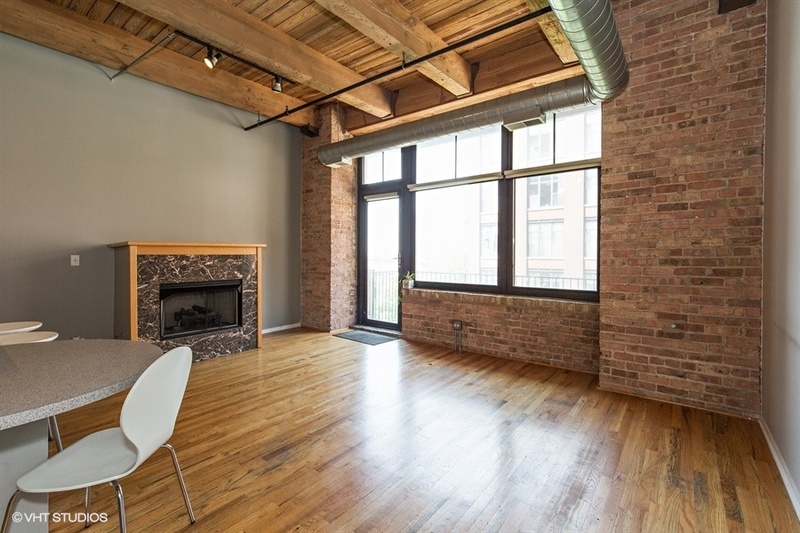 A true brick and timber loft in the West Loop. 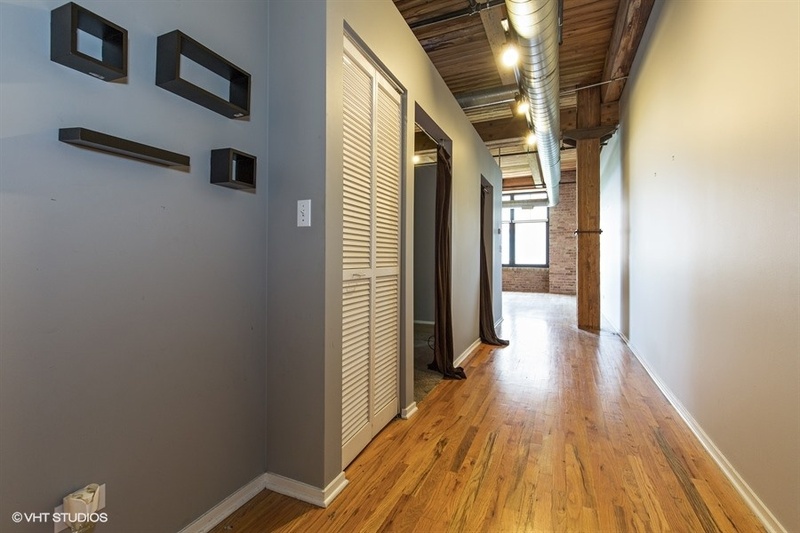 Walking into the unit you’ll first notice the gleaming hardwood floors & stunning exposed brick. 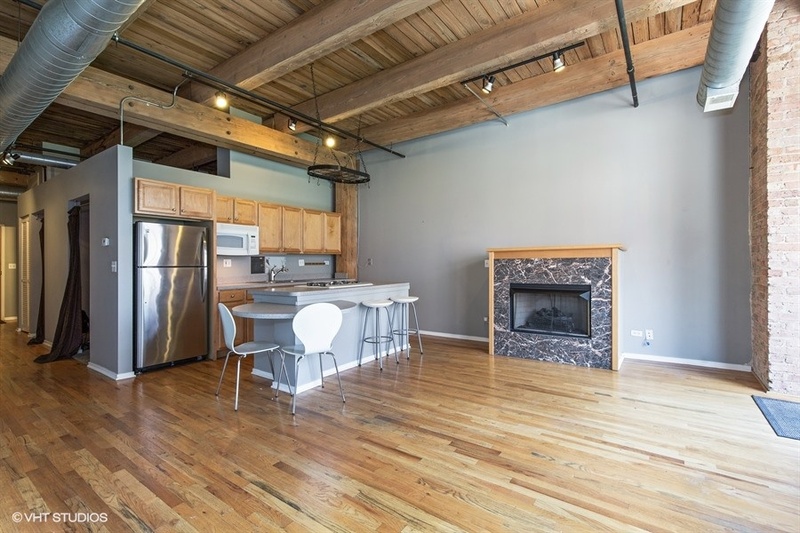 The spacious & sunny living room features 14 ft ceilings with timber beams, ample counter space w/breakfast bar, maple cabinets, dishwasher, fridge, cook stove top, microwave and hanging pot rack. Large bedroom can accommodate a king! Upgraded bathroom has nice tiling. In unit w/d. HEATED PARKING SPACE INCLUDED. The full amenity loft bldg features a fitness center, additional storage, bike room & on-site bldg engineer. There is a commissary, chiropractic office & dry cleaner as well. 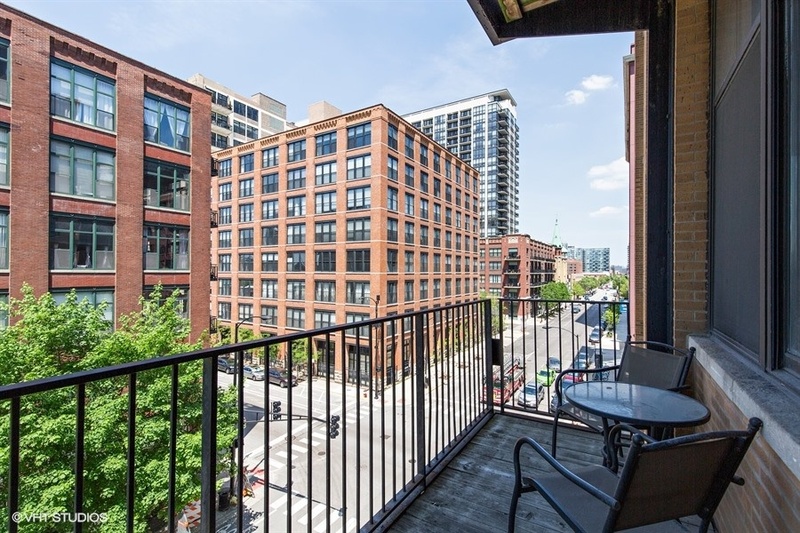 Your large balcony overlooks all of which the West Loop has to offer. 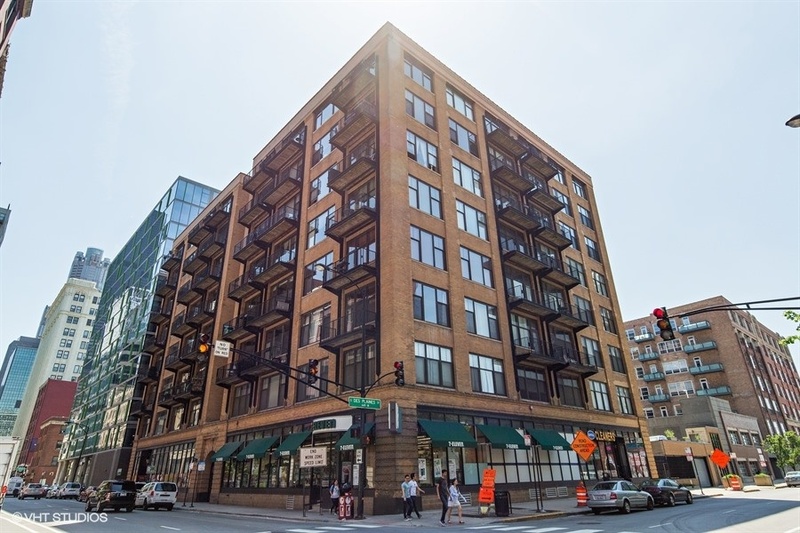 Nearby is Union Station, downtown, Greektown, H-Mart (across the street), Marianno’s, Whole Foods, restaurants, cool cafes & World’s Largest Block Party at St Pat’s! 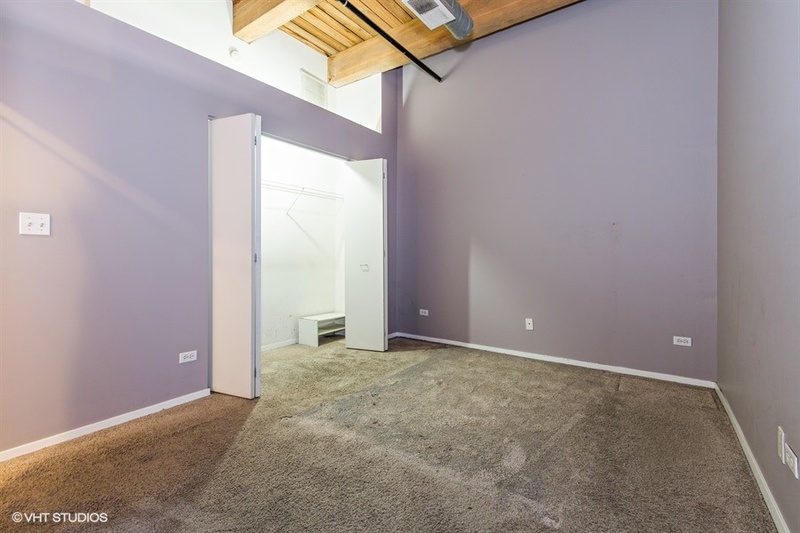 Unit is currently leased but also vacant so can close anytime. Exposed brick and timber beams as you enter into the living room. The kitchen allows you to entertain with this open concept. 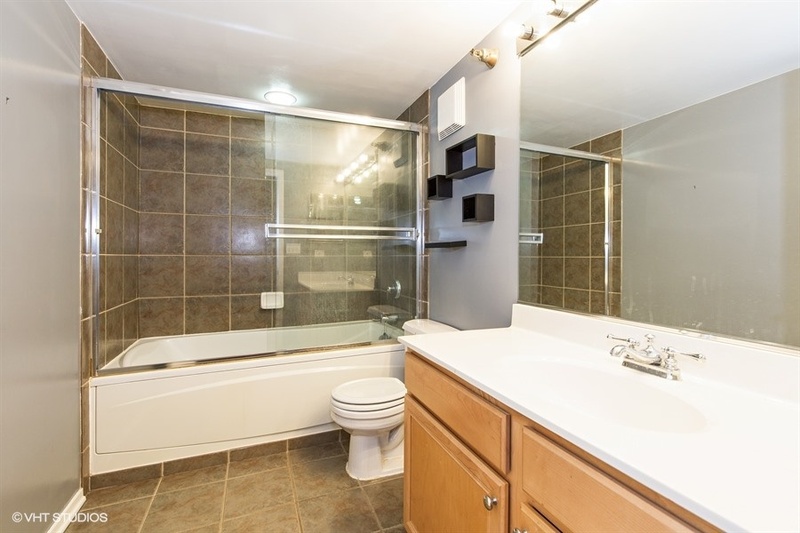 Built in breakfast bar and table in this fully equipped kitchen. The 14 foot ceilings enhance the timber beams. 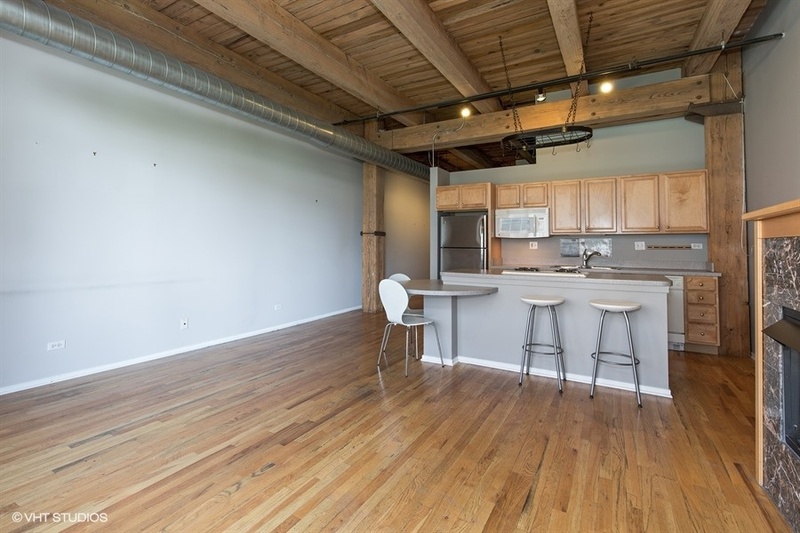 Gleaming hardwood floors in this spacious main living area. 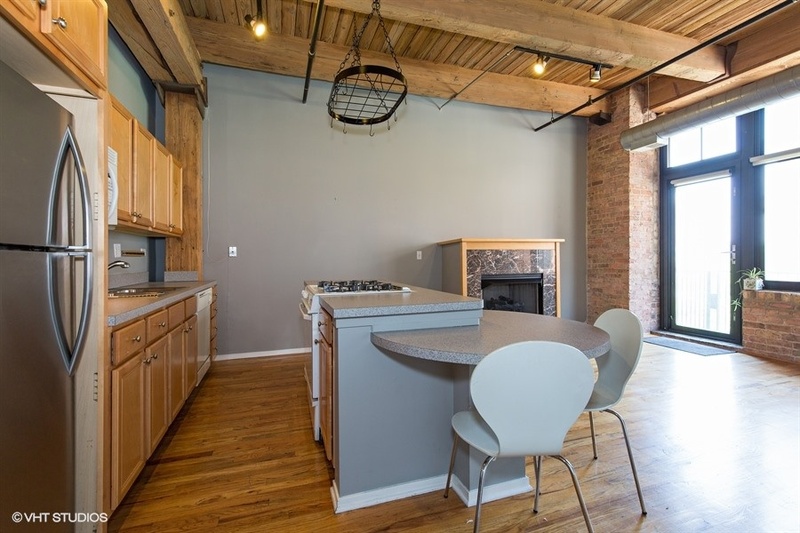 The exposed brick and 14 ft ceilings awaits you. Good size bedroom which can fit a king size bed. Modern bathroom with neutral tile. The awesome views await you. You can see Old St Pats and much more!